Keeping your plumbing system in good shape can do wonders for your property’s value and lifespan. Get exceptional plumbing services when you hire the Plumbing Specialists from Pankey Plumbing in Johnson County, KS. Taking pride in our work, we guarantee the best plumbing service in the shortest possible time at the most reasonable price. Just call our staff today, and we will come right over to help you out. We are currently in the process of compiling the testimonials for this section. Please check back soon to learn more about what our clients have to say about our plumbing services. In the meantime, feel free to browse through the rest of our site for more information about our plumbing company. Don’t let bad plumbing drive up your water bill! Speak with the professional plumbers at Pankey Plumbing today. Be it leaky faucets or cracked sewer pipes, we assure you that we can address all your plumbing concerns. 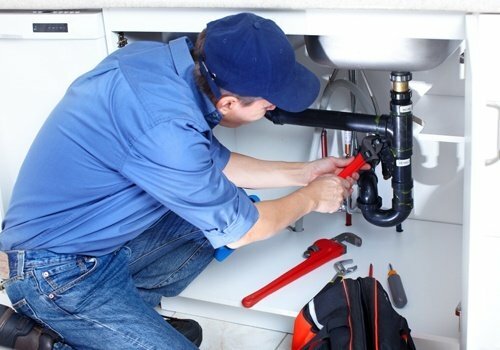 We can also provide plumbing repair and rework for homeowners who are having their properties remodeled. Call us today for more information.